This article originally appeared on the OPEN App Center . Visit www.theopenappcenter.com for more information and resources for streamlining and growing your business. Cutting costs and saving money are always on the minds of business owners and entrepreneurs. 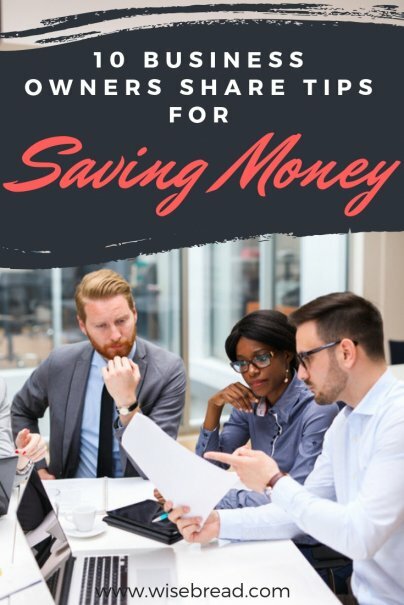 While it may seem like there is only so much you can do to trim your spending, the following opportunities for saving money come straight from the trenches. Regardless of industry, labor costs are the first or second largest expense incurred by almost all companies. Are you getting as much as you can from the money you spend on payroll? The owner of an engineering and consulting business was able to reduce overtime while still getting projects done on time. "We found several of our employees were working extra hours to make extra money," she said. "They didn't think the company cared because there was always work to be done. So, we made sure employees knew that all overtime had to be approved in advance and reinforced with managers the need to only approve overtime when absolutely necessary." Her business has reduced overtime to almost nothing in a matter of weeks. "Holding employees responsible for call-backs to resolve poor craftsmanship has saved a lot of money," according to Tyler Hawkins, owner and president of Xavier Paint Contracting. "Our foremen are now more inclined to finish the job correctly the first time." Alan Davis, president of i5Services, has had success hiring younger, less-expensive employees. "There are very talented, skilled young people that can be found for lower salaries. The trick is to balance them with senior talent that can properly manage and train them." Scaling back or even eliminating a physical office is one of the common tips for saving money from the cost-cutting business owners interviewed. Cary Snowden, president of Square Compass, decided to try a virtual/home office test case for three months. "Our three-month experiment turned into a six-month experiment, then a year. We are now three years into a virtual office scenario and have saved a minimum of $42,000 dollars." Office sharing is another common trend employed to cut rent/lease expenses. Randy Chipman, who owns Custom Security and Sound, located his office in a building that was half empty. "I'm on a month-to-month arrangement in a building with excess space," Chipman said. "I have a private, furnished office with access to phone, fax, copier, internet and utilities all included." One business owner approached his vendors with what he could afford to pay. "Most accepted the reduced prices and extended payment terms to help us through a tough time," he said. Melinda Emerson has saved a lot of money on shipping. "I think we often default to more popular shipping companies when a click-and-ship account with USPS works just fine and costs less in many cases," she said. Anita Campbell, CEO of SmallBizTrends.com, finds she can save a lot of money in her business by training her employees to take ownership of software development time. When someone on Anita's team finds a bug or problem, she teaches them to "… first investigate and troubleshoot on their own, in case it turns out to be a simple issue they can resolve. If it's not, then they are required to gather as much information as possible and lay it out in writing clearly with screenshots if necessary to explain it. This saves expensive developer time, which can cost three-figures per hour." Trading services can be a very comfortable way to save cash flow. Bill Attinger, CEO of ActSeed, has found success bartering, “… some cross-marketing services with a number of other companies, which has enabled us to keep our marketing and advertising budget in check while still gaining traction in our visibility.” By focusing on these reciprocal promotions with other organizations that catered to the same target audience, Bill has helped his company save money on what would otherwise have been an expensive PR initiative. One business owner discovered after 10 years she had the wrong CPA doing her taxes. "I've learned there is a big difference in CPAs after thinking they were all created equal," she said. "Those who are well versed on tax law changes, legal case histories and what is being challenged in courts and the outcomes are in a position to offer the business owner very creative tax strategies for consideration, which can lead to some significant cost savings for our business this year." What does your business really need to accomplish the goals and objectives you have for it? Once you know what your business needs, find the most cost-efficient way to fill those needs. An honest assessment of these questions will empower business owners everywhere, regardless of industry and size, to spend only what is necessary. Undoubtedly this will not only give your business its best chance to survive, but it will instill in you and your team the cost-saving attributes upon which great companies are built.